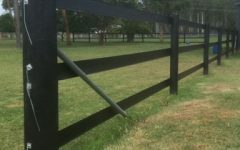 In this blog we are going to outline some of the very basic horse fence requirements. 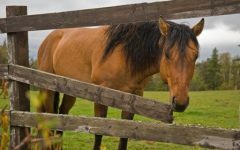 Horse Fence Requirements 1 – How high should my horse fence be? 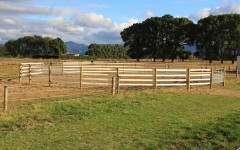 The normal height of horse fencing varies from between 1350mm and 1500mm. 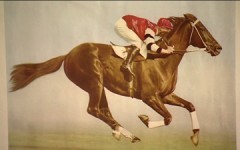 However higher fencing is required if large stallions are being kept. As a general guide try and have the top rail of the fence in the eye line of the horse. If desired set the height of the fence to allow them to put their heads over the fence without excessive straining. This will provide visibility of the fence for horses and also comfort. 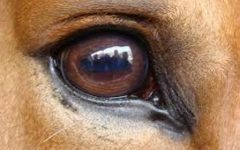 For more information on horse visibility see our blog at Blog – Horse Sight. 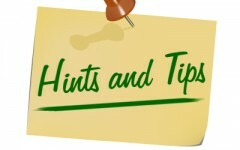 Horse Fence Requirements 2 – How big should openings in the fence be? Mesh product should have openings less than 75mm. But consider even smaller openings if used for containing foals. Rails and wire should be about 300mm apart to prevent entrapment whilst preventing escape. 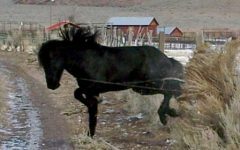 Horse Fence Requirements 3 – Providing safe fencing for foals? 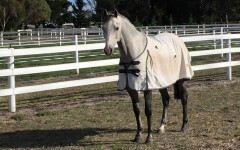 There is occasional market speculation that mesh products only are suitable for foals. Obviously there is significant effort from some suppli ers to support that theory. 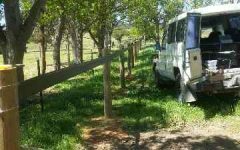 However in practice post and rail fencing is often more than adequate with some simple guidelines. In particular the bottom of the bottom rail should not be more than 300mm from the ground at any point on the fence. This will prevent foals from rolling under the fence as they are prone to do. Often it is best to have a purpose designed paddock for foals. 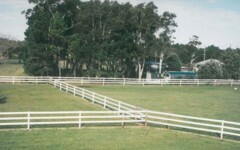 Some farms use a mesh fence for foal paddocks, while using other materials for the rest of the property. This prevents the impression that the property has been turned into one big steel cage and provides the benefits of the other materials for the larger horses. 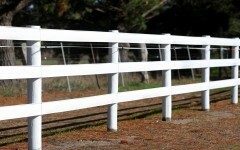 Also consider using common materials in both the foal paddock fence and general horse fence. For that reason customers often use our rail as a sight rail above mesh products to this end like the picture to the right. 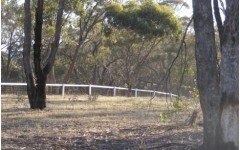 Our horse rail provides for some visible integration with the remaining paddocks. 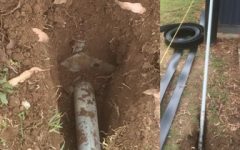 Fencing requires a lot of hard work, particularly digging holes for posts and transporting and mixing concrete for footings. This should be a job that is done once for the life of a property. When considering fencing materials for horse fencing ask the obvious questions about longevity and warranty. We would recommend that you look for at-least 10 years warranty on materials which is in line with some Australian legislation. However we would suggest that horse owners ask fencing suppliers about how long their product has been in the market in Australia. No one wants to be the test case for a new product. Consider also the inherent properties of the material. We have had many customers complain about woven tapes, in particular the white and light coloured varieties, which attract and collect dirt and mould. These can look quite run down within a year of installation. Another frustration for fencers Australia wide is the non-availability of the durable grades of hardwood timber that previously have been used for fence rails. It was not unreasonable to expect 40years life out of hardwood timber in the late 20th century, however now suppliers now routinely talk about 5 to 7 years as a reasonable life expectation. 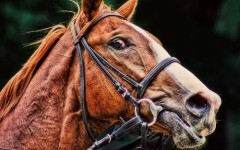 All horse fencing needs to be sturdy to contain these powerful and large animals. Care needs to be taken to ensure your fencing meets this requirement. In particular some highly economical products simply are not substantial enough to safely contain horses. Some of these may be suitable for temporary arrangements however fall short of the standard for permanent fencing. Be aware of purchasing materials over the internet without looking at the specifications and or requesting samples. Ideally a horse fence should have enough give in it to minimise injury upon impact however be sturdy enough to both survive the impact and discourage any repeated attempts. Remember and adult horse can weigh 900kg and is a fast moving animal, your fence needs to be able to stop the horse and discourage any further testing of the fence. Fences should be as smooth as possible and have no sharp edges. Look for fencing materials that are not abrasive or have sharp edges or splinters. Fittings and accessories used to attach materials to posts should be low profile and have smooth edges. Make sure there are not any sharp nots in wire and consider carefully the fittings used in gates. 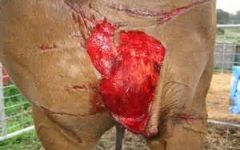 Be particularly careful when installing fences and gates, the risk of entrapment is always higher around gates, study the area and make sure no sharp edges or wire nots could harm your horses. 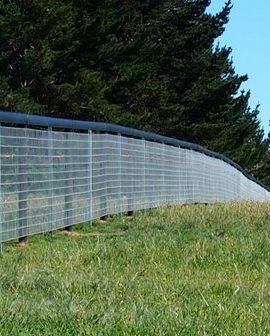 Look carefully also at the edges of mesh materials, cheaper varieties and those not specifically made for horse fencing can be quite sharp and less than sturdy at the edge. Although not strictly fencing a few comments on gates and doorways would be appropriate. All gates should be fastened securely. Like the fence itself if it is not sturdy it is not safe. Sturdy gates prevent escape and like fencing potential entrapment issues. All gates and doorways should be at-least 1.2 metres wide. Consider the guidelines mentioned above on the size of openings as well for the gates. Be very careful with fittings and mounting brackets of gates. We have had a lot of customers report injuries to horse around gates either with sharp rough fittings/brackets or entrapment. Horses are curious and the gate is the part of the fence line that is different so they will be drawn to it. What sort of life should I expect from a horse fence? 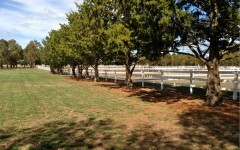 A quality horse fence that is installed properly should last over 30 years. Often manufacturers will provide warranties for their materials that vary. Given the expenditure on a fence and the effort of installing posts horse owners should expect a reasonable warranty. A reasonable guide is to request a warranty for 10 years. 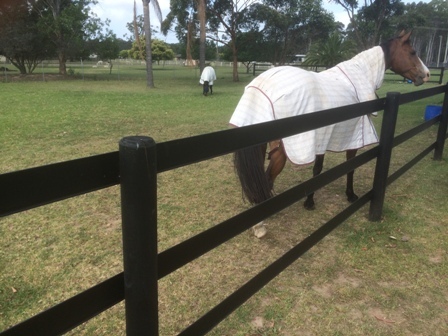 When considering horse fencing you have a right to ask about product life. Many of our customers report some disappointment with traditional timber fences now that the higher grades of hardwood are not available. Be sure to ask the obvious questions of your supplier, how long will these materials last, do you have sites in the area that I can visit. Do you have sites in place that are over 20 years old? What state is that fencing in? 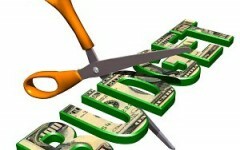 It is a big investment so ask about repainting, fading materials and any periodic maintenance.